Amiibo – What’s the big deal? 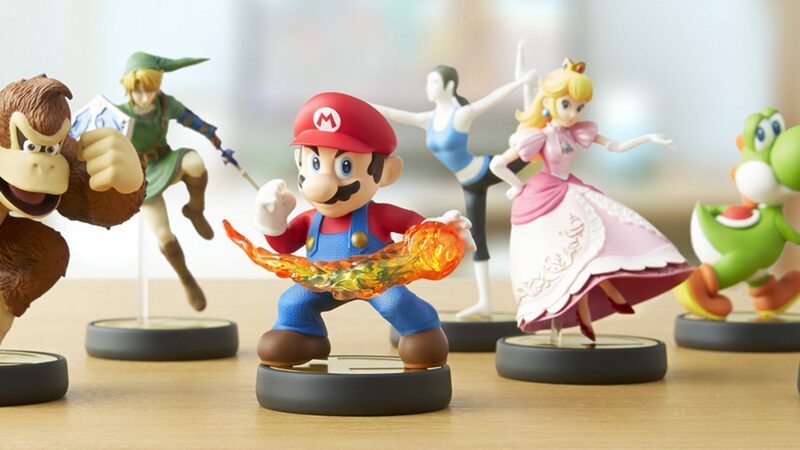 Amiibo is Nintendo’s entry into the figure-based videogame fad that started with Skylanders and was popularized with the Disney Infinity series. However there are some stark contrasts between Nintendo’s Amiibo and the previous implementations of the concept. For starters, and most importantly, traditional figures usually play a vital role in the gameplay mechanics or availability of characters. Without buying a specific figure players wouldn’t be able to access its character or even partake in specific missions. This isn’t the case with Amiibo. Amiibo is intended to be an extra feature of a game and not the core mechanic. Amiibo figurines are compatible with multiple games (although not all figures may be supported by a game) and a figure isn’t bound to just one game. The Amiibo also use the built in NFC chip on the Wii U GamePad (and on the New Nintendo 3DS that launches soon) to communicate with games. 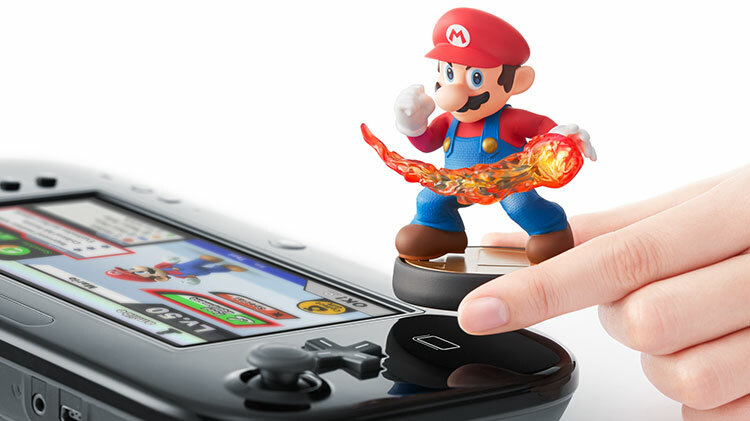 There’s no need for a portal – a simple tap to the GamePad is all that’s needed to activate your Amiibo. Amiibo is intended to be an extra feature of a game and not the core mechanic. At this stage three first-party games support Amiibo. In Mario Kart 8 a specific subset of Amiibo unlock costumes for Mii Racers to use in the game. Tap Mario on your GamePad to unlock his iconic hat and dungarees for your Mii. There’s no need to keep the Amiibo on hand either – once the costume unlocks it’s always available. In Hyrule Warriors any Amiibo will give your game a random in-game gift. These gifts are usually weapon upgrades or rupees but tapping Link to the game will unlock a special item. You can gain up to five gifts from five different Amiibo a day. 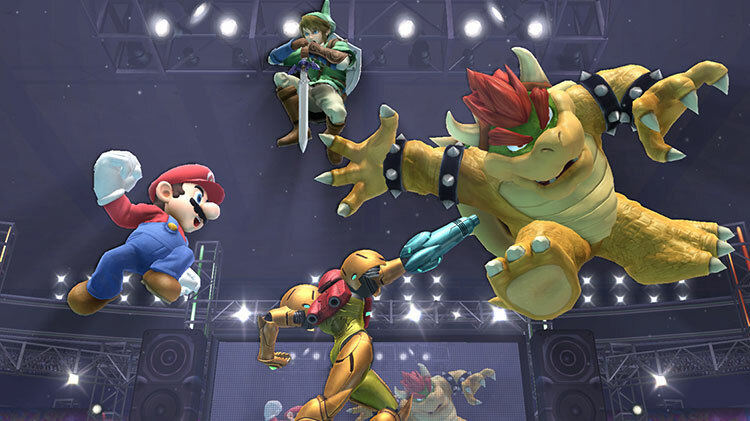 The last, and probably most noteworthy Amiibo title is Super Smash Bros. Wii U. This game really brings your Amiibo to life by creating a CPU controlled implementation of the character with stats and upgrades the Amiibo gained by leveling and user customization. You can choose to fight against your own Amiibo, put your Amiibo on your team or even let a bunch of Amiibo fight each other. However, you cannot control your own Amiibo – it’s always controlled by the game. Amiibo level up by fighting and also earn in-game currency and rewards. These rewards are saved on the Amiibo figure so you can take them to your one other friend with a Wii U and play with them there. Amiibo don’t contribute a great deal to the current list of compatible games but that might change in the future. One warning about Amiibo though: Amiibo can only store one save file. While Super Smash Bros. Wii U is currently the only title that writes to the Amiibo any future title with similar capabilities will overwrite the old save file. So now that we’re clear on exactly what Amiibo are, is it worth splurging and buying Amiibo? Well, that’s a tough question. Amiibo don’t contribute a great deal to the current list of compatible games but that might change in the future. The current games simply don’t warrant buying them all. However, should you buy into Amiibo you’re assured that your Amiibo will be compatible with future games. In my opinion Amiibo’s biggest draw is the visual appeal. Amiibo look fantastic and is expertly modeled on the iconic video game characters they represent. They are of much better quality than competitor figures and it’s so uncommon to find such a wide range of official Nintendo character figurines that it’s hard for any Nintendo fan to ignore their charm. Furthermore it’s not clear if Nintendo will restock the first waves of Amiibo figures – especially in South Africa. Amiibo have been flying off shelves and with the next wave of characters launching soon you best preorder to secure your Amiibo. Amiibo might become the next super rare Nintendo collectible item with a couple of factory defected models already selling for thousands more than retail price. I’ve got all my favorite Amiibo on my shelf and I thoroughly enjoy them – both in and out of games. Whether you buy them or not is up to you; just don’t be too surprised if you can’t find the Amiibo you’re looking for anymore.